THE BIG IDEA: President Trump should thank his lucky stars that Republicans control both chambers of Congress, because Democrats would be announcing a Benghazi-style inquest today if they could. Michael Flynn lost his job as national security adviser after just 24 days — less because he offered potentially illegal secret assurances to Russia’s ambassador, an adversary of the United States, than because he gave a false accounting of those conversations to his colleagues in the White House, particularly Vice President Pence. This imbroglio will make it politically untenable for Trump to scale back sanctions on Moscow now. 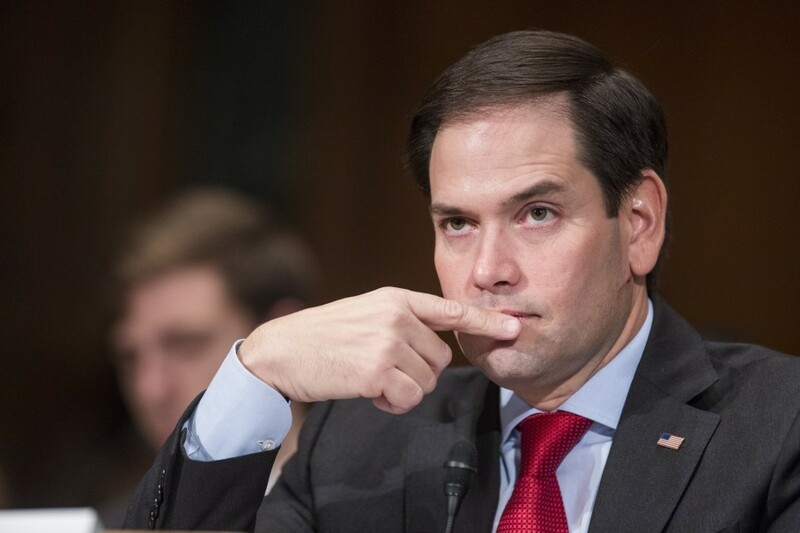 The blowback from hawkish Republicans in the Senate would be too intense, hobbling the rest of the president’s agenda. The episode will probably give added momentum to Sen. John McCain’s effort to codify existing sanctions into law so that the administration cannot unilaterally unwind them. 1. What, if anything, did Trump authorize Flynn to tell the Russians before his inauguration? 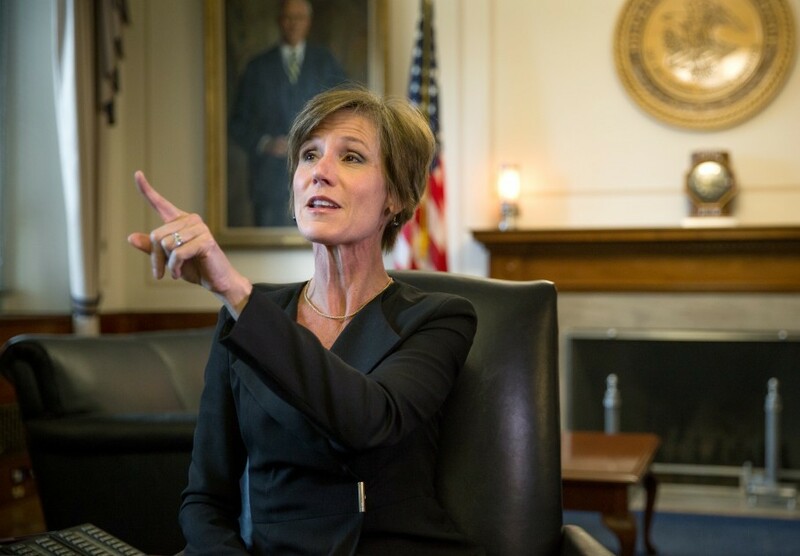 Yates was accompanied by a senior career national security official when she alerted McGahn. 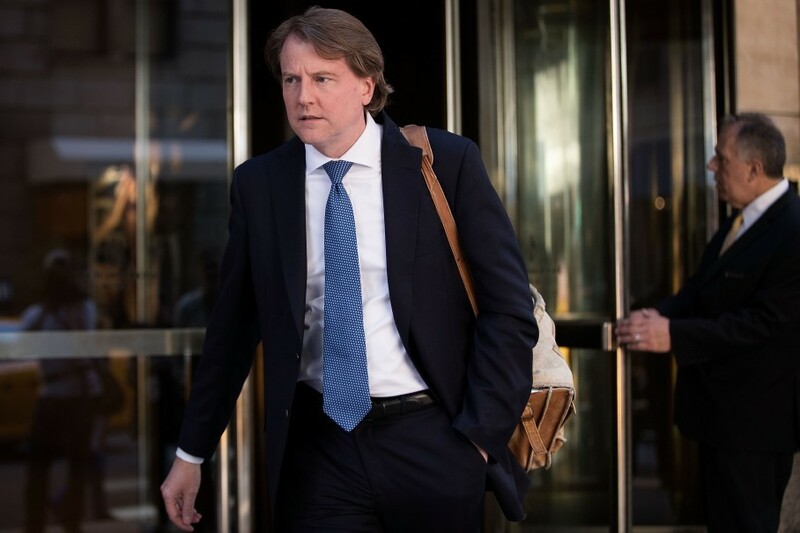 What we don’t know is who McGahn subsequently shared that information with and what he did after the meeting. He didn’t respond to a request for comment last night from my colleagues. “It’s unimaginable that the White House general counsel would sit on it [and] not tell anybody else in the White House,” said David Gergen, who worked in the Nixon, Ford, Reagan and Clinton administrations. “In every White House I’ve ever been in, this would go to the president like that,” he added during an interview on CNN, snapping his fingers. If McGahn did indeed tell others, especially the president, how come Flynn kept his job until last night? 4. What is the status of the FBI investigation into possible contacts between Trump associates and Russia? FBI Director James B. Comey initially opposed Yates notifying McGahn, citing concerns that it could complicate the bureau’s ongoing investigation. “A turning point came after Jan. 23, when [Sean] Spicer, in his first official media briefing, again was asked about Flynn’s communications with [Ambassador Sergey] Kislyak,” Adam, Ellen and Phil report. “Spicer said that he had talked to Flynn about the issue ‘again last night.’ There was just ‘one call,’ Spicer said. And it covered four subjects: a plane crash that claimed the lives of a Russian military choir; Christmas greetings; Russian-led talks over the Syrian civil war; and the logistics of setting up a call between Putin and Trump. Spicer said that was the extent of the conversation. Yates again raised the issue with Comey, who now backed away from his opposition to informing the White House.” Yates then spoke to McGahn. 5. Will Spicer and Pence apologize for making false statements to the American people? There is no doubt that both men would have called on their counterparts in the Obama administration to do so if the shoe was on the other foot, even if the falsehoods were unintentional. Their future credibility depends on coming clean and being contrite. 6. 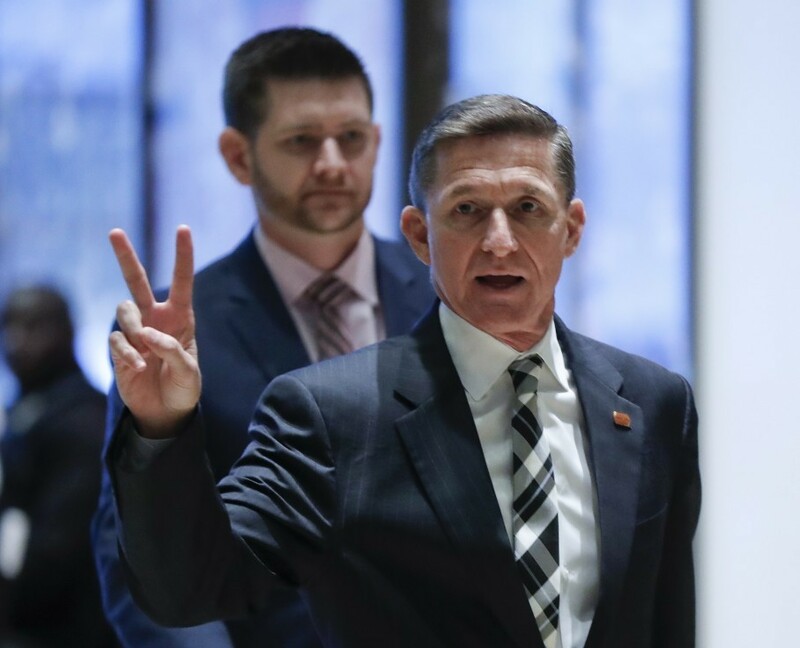 Will Flynn face prosecution under the Logan Act? Yates and other intelligence officials suspected that Flynn could be in violation of the obscure 1799 statute, which bars U.S. citizens from interfering in diplomatic disputes with another country. But no one has ever been prosecuted under that law, so it is very, very unlikely. Another mitigating factor: Jeff Sessions got confirmed as attorney general despite refusing to commit to recuse himself from DOJ inquiries into Trump and other administration officials. 7. What will the Senate Intelligence Committee uncover about contacts Flynn and others affiliated with Trump had with Russia before the election? U.S. intelligence reports during the 2016 campaign showed that Kislyak was in touch with Flynn, several sources have said. Communications between the two continued after Nov. 8. The Russian ambassador has even confirmed having contacts with Flynn before and after the election, though he declined to say what was discussed. 8. Who replaces Flynn? Trump has named Keith Kellogg, a decorated retired Army lieutenant general, as acting national security adviser. Sources say that he is one of three candidates Trump is considering as a permanent replacement. The others are former CIA director David H. Petraeus and Vice Adm. Robert Harward, a former deputy commander of the U.S. Central Command. Two White House sources tell Bob Costa that Harward emerged overnight as the front-runner to get the post. (Pence is leading the discussions.) He is seen as a safe and steady, low-profile consensus pick, which is appealing after the tumult that swirled around Flynn. Harward worked on the NSC during George W. Bush’s presidency, focused on counterterrorism strategy. 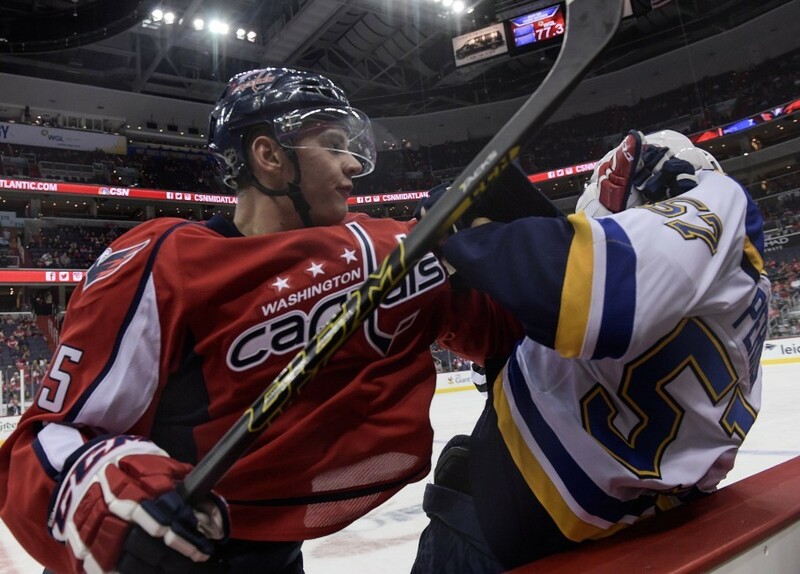 He’s from Rhode Island and attended the Naval Academy in Annapolis. He’s worked on SEAL teams and was a commander in Afghanistan and Iraq. If Trump settles on Harward — always an “if” with Trump — that’s a huge win for Jim Mattis. Harward served under the secretary of defense back when he was at Central Command and remains both an ally and friend. Harward has been under consideration as a possible undersecretary of defense for intelligence. 9. Who else leaves the White House because Flynn is gone? Flynn’s departure means that the people he brought with him are likely to go too. 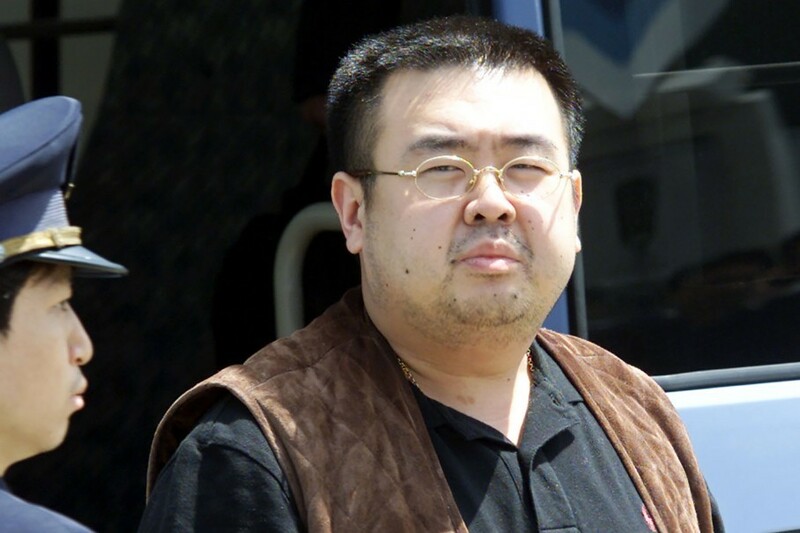 The new national security adviser will want his own loyalists. Kellogg is considered a Flynn guy, the New York Times notes, as is K.T. McFarland, the deputy national security adviser. She is expected to leave soon. 10. Who exactly is in charge at the White House? Yesterday was just the latest illustration of the chaos and dysfunction that plague the infant administration. 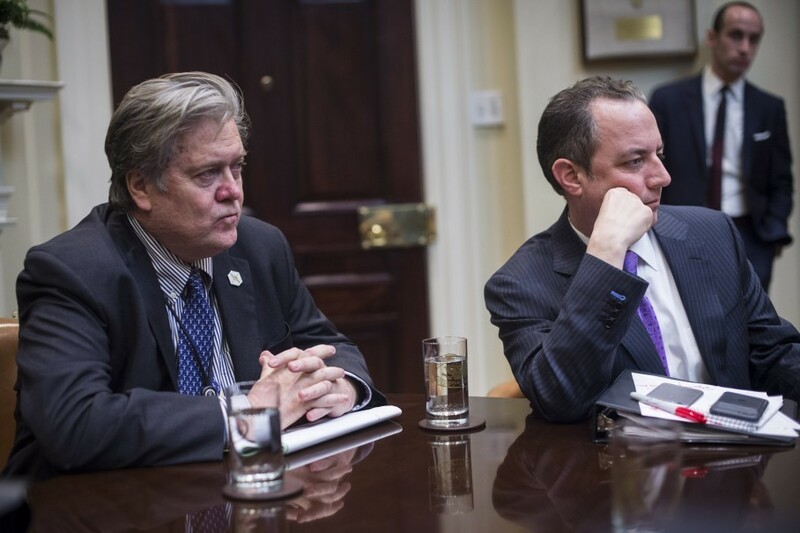 Officials found themselves in an uncomfortable holding pattern for much of Monday, unsure about whether to defend Flynn and privately grumbling about the president’s indecisiveness. “After Trump made it through a joint news conference with Canadian Prime Minister Justin Trudeau without being asked about Flynn, a group of reporters gathered outside Spicer’s office for more than 80 minutes,” Ashley Parker and Philip Rucker report. 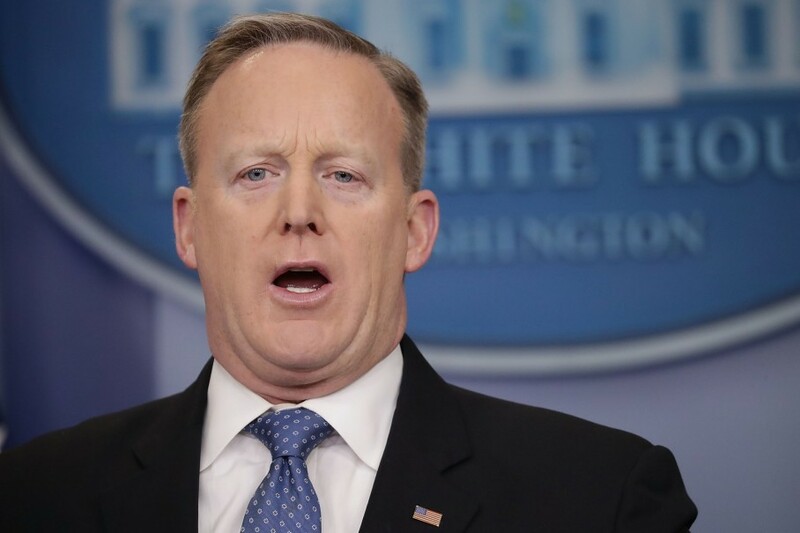 “Spicer twice declined to answer questions about Flynn. When chief of staff Reince Priebus walked by, he was asked whether the president still had confidence in Flynn. Priebus gave no answer. 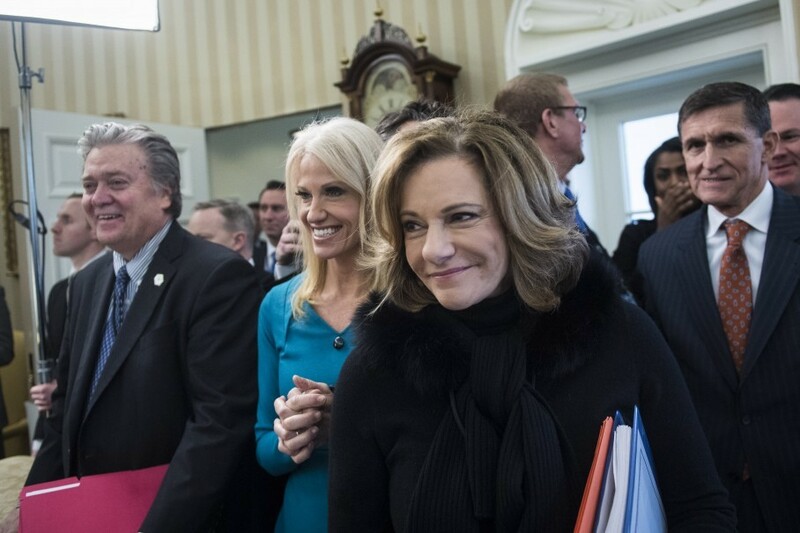 Then, a few minutes later, Kellyanne Conway, the counselor to the president, declared on MSNBC that Trump had ‘full confidence’ in Flynn. Yet a few minutes later after that, Spicer issued an official — and conflicting — statement, saying Trump was ‘evaluating the situation.’” A few hours after that, Flynn was gone. 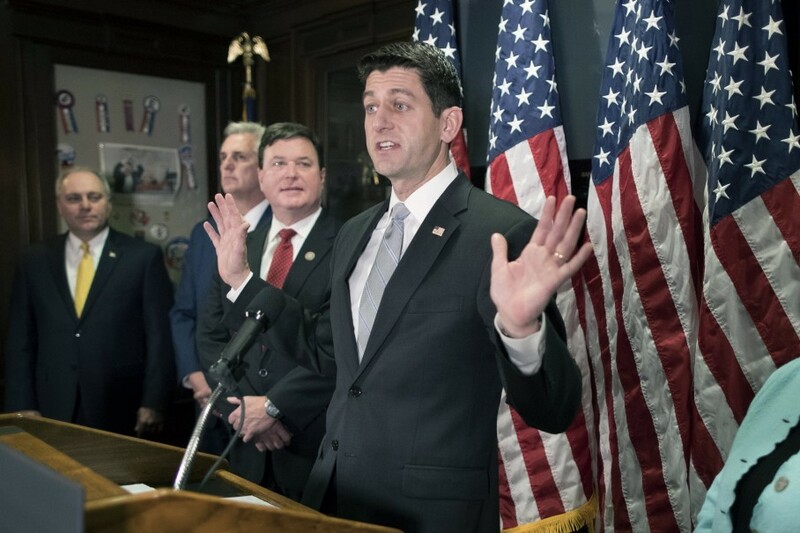 Conservative columnist Michael Gerson, a veteran of George W. Bush’s White House, opens his column today with a damning anecdote: Last month, House Speaker Paul Ryan met with a delegation from the president-elect on tax reform. Attending were Priebus, Conway, Stephen K. Bannon, Jared Kushner and Stephen Miller. 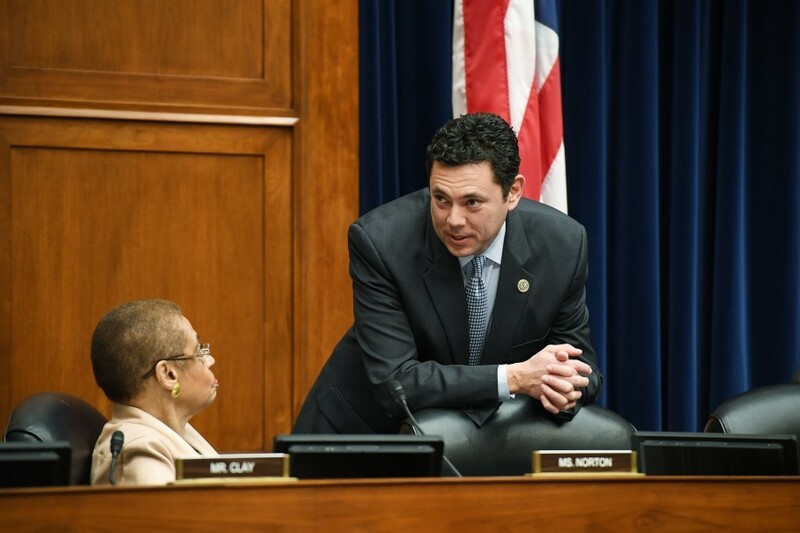 As the meeting began, Ryan pointedly asked, “Who’s in charge?” There was silence. From the Clintons: You might recall that Flynn led the crowd at the Republican National Convention in chants of “ Lock her up” last summer. “If I did a tenth of what she did, I would be in jail today,” he said, referring to Hillary Clinton. The former secretary of state has certainly not forgotten. From the Russians: One of the Kremlin’s propaganda arms, Russia Today, reported that Flynn chose to “retire." -- A federal judge in Virginia issued a preliminary injunction against Trump’s travel ban, citing a likely violation of the First Amendment’s protections for freedom of religion. 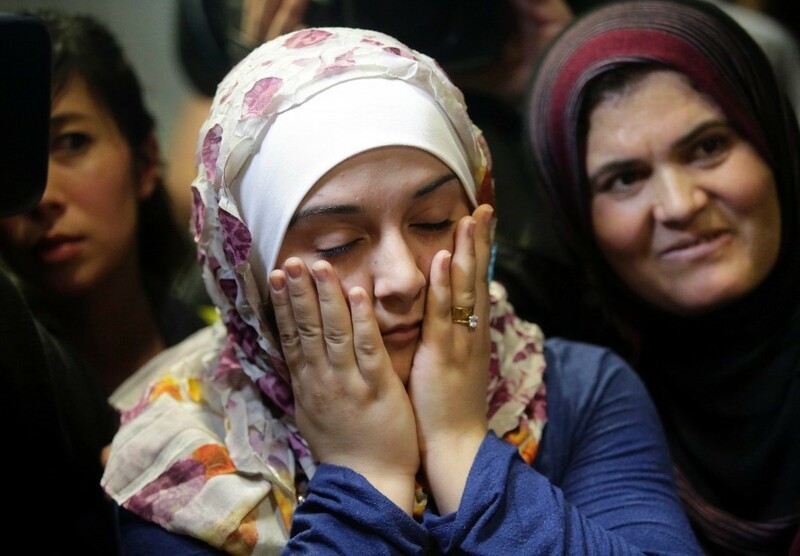 Rachel Weiner reports: In her opinion, Judge Leonie M. Brinkema wrote that the Commonwealth of Virginia “has produced unrebutted evidence” that the order “was not motivated by rational national security concerns” but “religious prejudice” toward Muslims. She cited Trump’s statements before taking office, as well as an interview in which former New York City mayor Rudolph W. Giuliani (R) said that the president wanted a “Muslim ban.” The order applies only to Virginia residents and students, but comes as another legal blow to the White House. 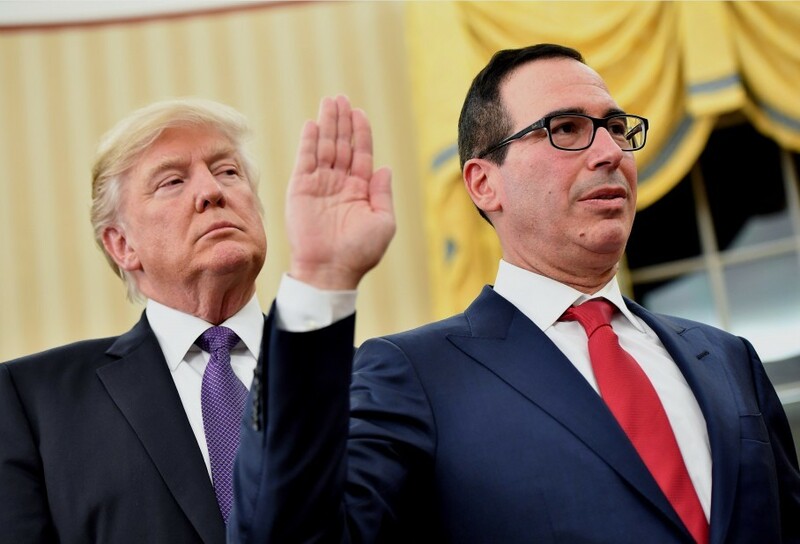 -- The Senate confirmed Steven Mnuchin as treasury secretary in a 53-47 vote, capping a contentious and protracted debate while adding another former banker to Trump’s roster of advisers. Max Ehrenfreund reports: “Mnuchin ran a bank, OneWest, that foreclosed on tens of thousands of Americans following the financial crisis, and Democrats argued that he would not represent the financial interests of ordinary Americans in office.” Sen. Joe Manchin (W.Va.) was the only Democrat to vote in his favor. -- Senators also unanimously voted to confirm David Shulkin to lead the Department of Veterans Affairs, making him the sole holdover from the Obama administration to serve in Trump’s Cabinet. Lisa Rein reports: “The 57-year-old Pennsylvania native will now run the second-largest federal agency after serving 18 months as undersecretary for health in charge of VA’s sprawling medical system. … After a long search for a leader who could turn around a system Trump denounced on the campaign trail as a tragic failure, the president surprised critics by turning inside rather than outside for a VA leader. No senators dissented on Shulkin’s nomination in a rare show of bipartisanship.... Shulkin’s approval makes him the 11th high-ranking Trump official to be confirmed by the Senate." Richard DeAgazio's post on Facebook. 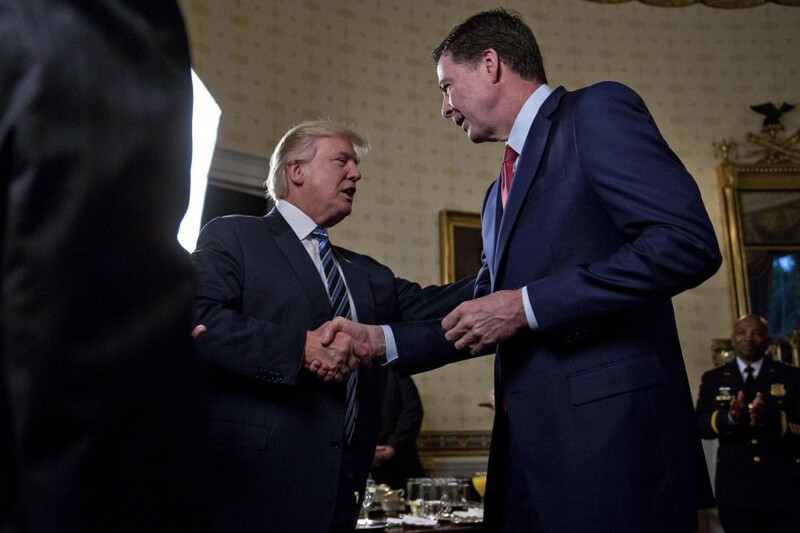 Security experts have said this casual approach to national security discussions was very risky: "The two leaders could have discussed classified documents within earshot of waiters and club patrons. 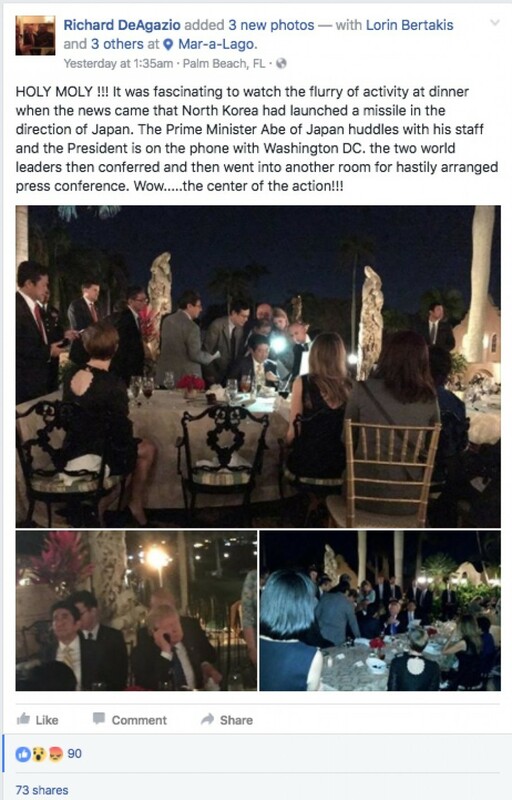 Those cellphones-turned-flashlights might also have been a problem: If one of them had been hacked by a foreign power, the phone’s camera could have provided a view of what the documents said.” But DeAgazio, for his part, said he was impressed that Trump had not moved to seek a more private place for his conversations. 'He chooses to be out on the terrace, with the members. It just shows that he’s a man of the people,' DeAgazio said." 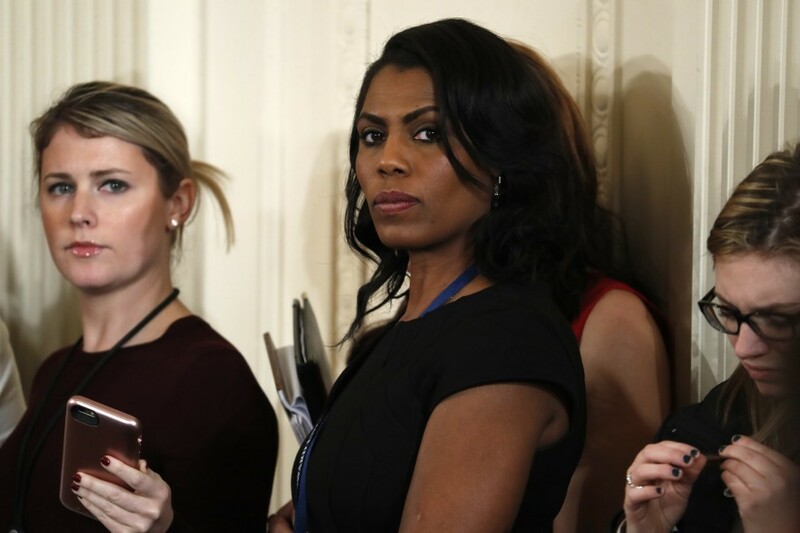 “During their altercation, Ryan said Manigault told her that she was among several African American journalists who were the subject of White House ‘dossiers.’ Manigault has previously said that Trump is keeping 'a list' of opponents, though at the time she was referring to Republicans who voted against Trump." Staffers, meanwhile, are so fearful of being accused of talking to the media that some have resorted to a secret chat app — Confide — that erases messages as soon as they’re read. Some senior officials are worried about their own standing with the president, who through his casual conversations with friends and associates sometimes seems to hint that a shake-up could come at a moment’s notice. Aides said they strive to avoid appearing “weak” or “low energy” — two of Trump’s least favorite attributes. 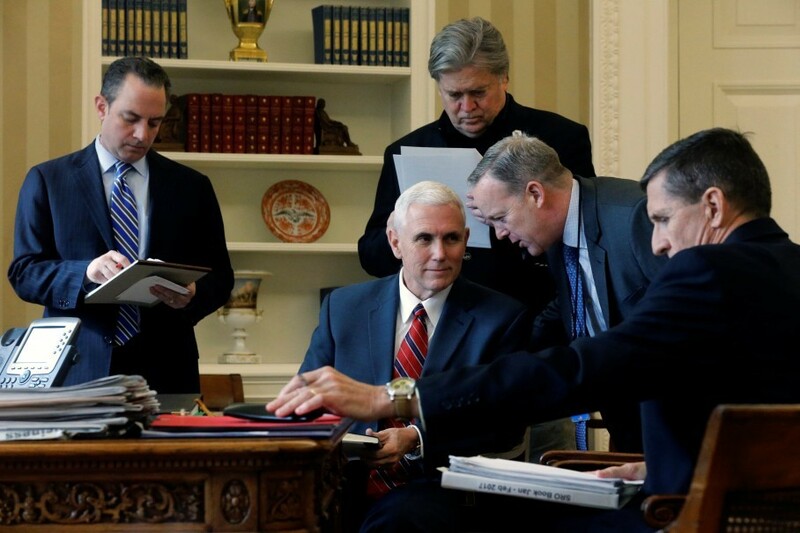 Staffers buzz privately about who is up and who is down: “Aides said Trump was especially upset by a sketch that cast (Steve) Bannon as the Grim Reaper manipulating the president — who was ultimately relegated to a miniature desk, playing dolefully with an expandable toy. 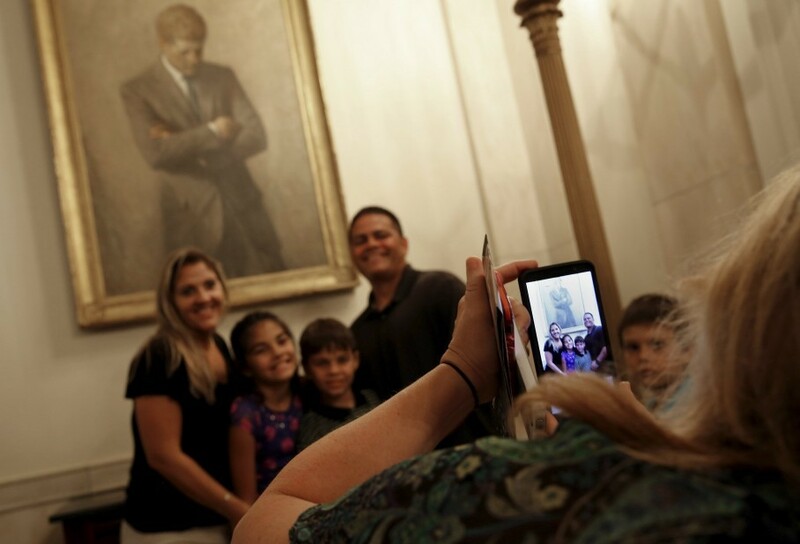 In an administration where proximity to Trump is power, aides, advisers and visitors often mill about in the West Wing, lingering long after their scheduled appointments have ended. 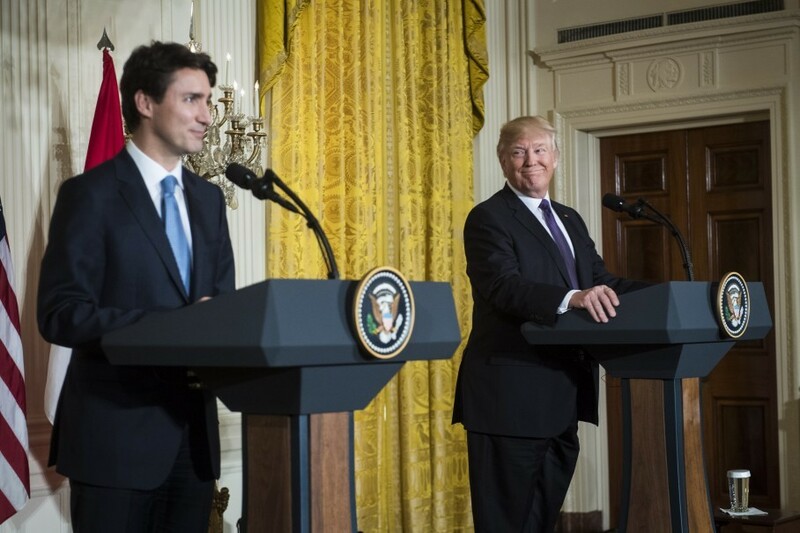 "Monday’s news conference with Trudeau was different because the prime minister flawlessly switched between French and English, composing long, warm sentences in both languages. Trump repeatedly put in and took out earpieces to hear a translation, but finally just flung them onto the lectern with a flick of personality that had been missing up until that moment." -- “Officials were warned the Oroville Dam emergency spillway wasn’t safe. They didn’t listen,” by Kristine Guerra: “In 2005, three environmental groups warned state and federal officials about what they believed was a problem with the Oroville Dam’s emergency spillway, which was at risk of collapsing over the weekend in California as recent storms caused the adjacent massive reservoir to swell. Their concern, which seemed to have fallen on deaf ears: The emergency spillway is not really a spillway. Rather, it’s a 1,700-foot-long concrete weir that empties into a dirt hillside. That means in the event of severe flooding, water would erode that hillside and flood nearby communities, the groups said then. 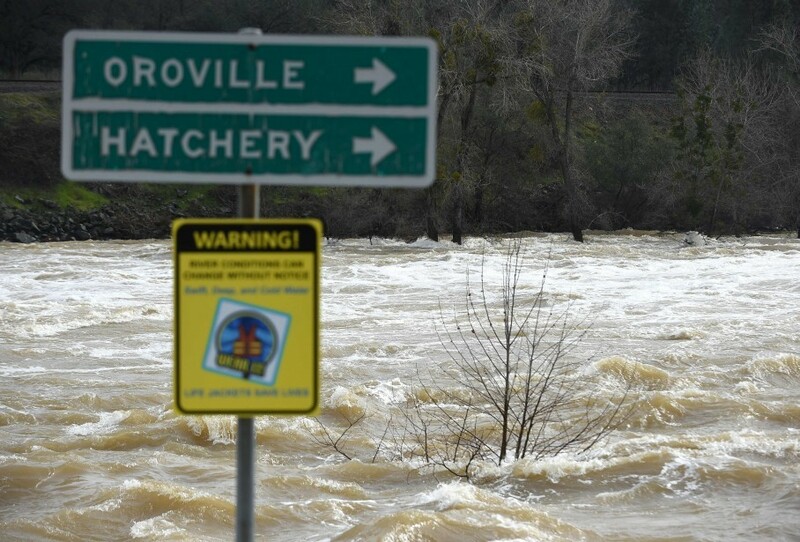 That nearly happened Sunday, when a hole on the emergency spillway threatened to flood the surrounding area and prompted officials to evacuate thousands of residents who remained displaced as of Monday afternoon.” Now, some say none of this would have happen had officials listened to concerns and 12 years ago and agreed to build a proper emergency spillway. Joe Scarborough ripped Stephen Miller for saying on the Sunday shows that the president's national security actions "will not be questioned:"
"The president's powers are not to be questioned." An east wind is coming. Amateur hour: Trump’s official inauguration portrait on sale at the Library of Congress had an obvious error in it. The quote on the 8-inch-by-10-inch print misspelled “too” as “to.” “No dream is too big, no challenge is to great. Nothing we want for the future is beyond our reach,” it reads. Regarding the RNC's tweet of that Lincoln "quote:"
Help Wanted: White House Security Director. White House currently has maybe 20 key staffers and 10 of them spend the day telling media why the other 10 should be fired. It's week four. At the White House: Trump will participate in a “parent-teacher conference listening session” and have lunch with New Jersey Gov. Chris Christie and his wife. He will then sign H.J. Res. 41. 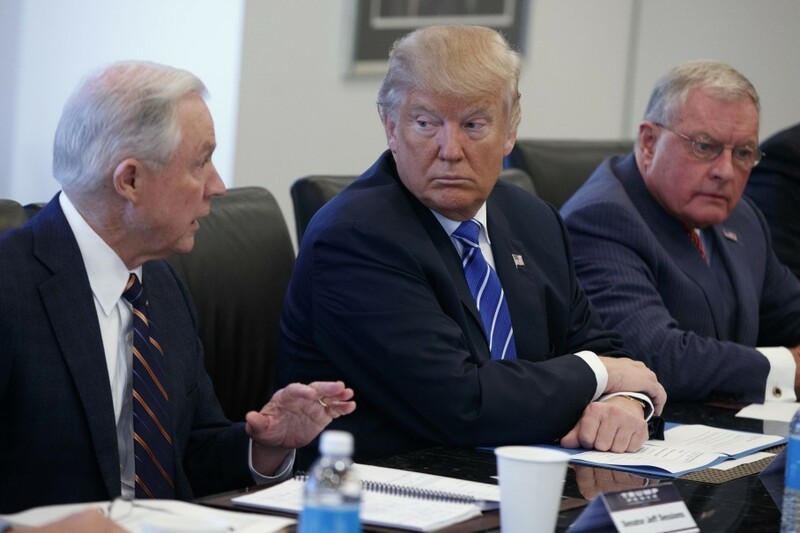 Later in the afternoon, Trump will meet with Secretary of Homeland Security John Kelly and the Attorney General Jeff Sessions. Mike Pence will speak with Secretary of State Rex Tillerson by phone before joining Trump for the parent-teacher listening session. Later, he will travel to Capitol Hill to participate in the Tuesday Group Lunch and the Senate Republican Policy Lunch and participate in the Tuesday Group Lunch and the swearing-in of Secretary of Veterans Affairs Dr. David Shulkin before joining Trump’s meeting with Kelly and Sessions. On Capitol Hill: The Senate will convene at 10:00 a.m., and will hold full floor votes on Linda McMahon’s nomination for SBA administrator. -- The Wizards beat the Thunder.